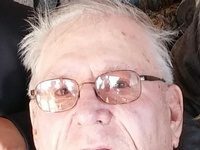 Gary A. Anderson, 65 of Thief River Falls, MN died suddenly on Saturday, January 19, 2019 at his residence. Funeral service will be held 10:30 AM on Friday, January 25, 2019 at Zion Lutheran Church in Thief River Falls, MN with Pastor Ollie Urdahl officiating. Burial will follow at Greenwood Cemetery in Thief River Falls, MN. Visitation will be held from 5:00 PM until 8:00 PM with a 7:00 PM prayer service on Thursday, January 24, 2019 at Johnson Funeral Service in Thief River Falls, MN. 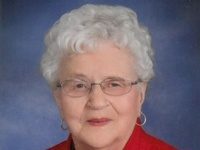 Visitation will also be held one hour prior to the service on Friday at Zion Lutheran Church. Gary Alvin Anderson was born on November 20, 1953 in Karlstad, MN the son of the late Alvin and Hazel (Steedley) Anderson. He was baptized and confirmed into the Lutheran faith at Sion Lutheran Church in Lancaster, MN. 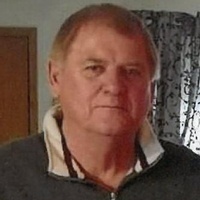 He attended school in Lancaster graduating with the class of 1971. After high school, Gary helped his father at the Lancaster Grain Elevator which is where his journey in the grain business began. On August 25, 1973, Gary was united in marriage to Jeana Anderson and to this union two children were born, Lynel and Andrew. 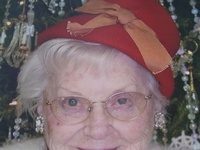 They lived for a time in Lancaster and then moved to Thief River Falls. He worked a short time at the Alvarado Grain Elevator, was assistant manager at St. Hilaire Co-op Elevator for a time, and learned his management/marketing skills at Harvest States Regional Office in Grand Forks. In 1985, Gary became manager for Farmers Co-op Grain & Seed in Thief River Falls where he worked until his retirement in 2010. On October 23, 1987, Gary was united in marriage to Linda Dufault at Thompson, ND. To this union two children were born, Jeremy and Brian. The family made their home on a farm in rural Thief River Falls. Gary had a love of the land and animals. His cattle career began at a young age in his mother’s garage to her surprise. Over the years, they built their own small grain and beef cattle operation. This is where he taught his children their first responsibilities, life lessons and the value of hard work. Along with his family, they owned and operated Anderson Excavating. He loved hunting, fishing, motorcycling, snowmobiling, flying, classic cars, cooking, adventures, a good challenge and wasn’t afraid to try new things. Gary was very resourceful, he was not going to let someone else solve a problem or fix a problem for him if he could learn and fix it himself. His pride and joy were his grandkids and that is where Soft Gary came out. Gary was a member of the Northriders Motorcycle Club for several years and the Goodridge Trailblazers Snowmobile Club. Survivors include his loving wife, Linda; children, Lynel (Brad) Svir, Andrew Anderson all of Thief River Falls, Jeremy (Vanessa) Anderson of Burnsville, MN and Brian (Courtney) Anderson of Thief River Falls; grandchildren, Madison, Nicholas, Tevin, Justin, Raegan, Owen and Lucy; sister, Linda (Fred) Kloster of Grand Forks, ND; brother-in-law, Wade Levenhagen of Lancaster, MN; and many nieces, nephews, relatives and friends. He is preceded in death by his parents and sister, Kathy Levenhagen.